Mr. Richard T. Schumacher, the founder of our Company, has served as a director of Pressure BioSciences since the formation of its legacy business, Boston Biomedica, Inc., in 1978. He has served as CEO of Pressure BioSciences since April 2004 and President since September, 2004. He previously served as CEO and Chairman of the Board of Boston Biomedica from 1992 to February, 2003 and as President from 1986 to August 1999. Mr. Schumacher served as the Director of Infectious Disease Services for Clinical Sciences Laboratory, a New England-based medical reference laboratory, from 1986 to 1988. From 1972 to 1985, Mr. Schumacher was employed by the Center for Blood Research, a nonprofit medical research institute associated with Harvard Medical School. Mr. Schumacher received a BS in Zoology from the University of New Hampshire. Dr. Bradford A. Young, Ph.D., M.B.A joined Pressure BioSciences as Senior Vice President and Chief Commercial Officer in November, 2018. Prior to joining the company, Dr. Young provided executive level consulting to biomedical technology, diagnostic and pharmaceutical companies for strategic planning, product development and commercialization. 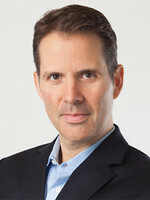 Dr. Young's background includes Founder and CEO of AddisonField Corporation, a biotechnology company developing and commercializing consumer health products and Vice President of Business Development for Nodality, a pharmaceutical services company providing disease and drug profiling services in oncology and autoimmune diseases. Prior to that, Dr. Young was Director of Market and Business Development for Quest Diagnostics, a leading clinical reference laboratory and Head of Market Development for Celera, a pioneer in personalized medicine. Dr. Young serves on the Board of Directors of Liquid Biotech, Inc., a circulating tumor cell diagnostic company and as a selection committee member for SPADA, the Stanford Predictives and Diagnostics Accelerator program. Dr. Young earned his Ph.D. from the University of Maryland, School of Medicine and his M.B.A. from the University of California, Berkeley, Haas School of Business. Dr. Edmund Ting joined Pressure BioSciences as Senior Vice President of Engineering in April, 2006. Prior to joining the company, Dr. Ting served as the Chief Research Officer of Avure Technologies, a leading worldwide manufacturer of high pressure hydrostatic processing equipment for the food and materials processing industry, Flow International Corporation, a world leader in the ultrahigh pressure waterjet cutting technology market, and the parent company of Avure Technologies. Dr. Ting last held the position of VP of Engineering Research and Development at Flow International Corporation. Dr. Ting was also a research scientist and a group leader at Grumman Aerospace Corporation. Dr. Ting earned a BS degree in mechanical engineering from Northeastern University and a Sc.D. in materials science and engineering from the Massachusetts Institute of Technology. Dr. Alexander Lazarev, Ph.D. joined Pressure BioSciences in April, 2006 as Director of Research and Development and was promoted to Vice President of Research and Development in March, 2007. Dr. Lazarev was promoted to Chief Science Officer in December, 2018. Prior to joining Pressure BioSciences, Dr. Lazarev worked as a Visiting Scientist at the Barnett Institute of Chemical and Biological Analysis at Northeastern University, and served as a Director of New Technology Development at Proteome Systems, Inc., where he was involved in research and development of innovative proteomic analysis applications. Dr. Lazarev previously held senior research positions at Genomic Solutions, Inc. and PhytoChem Technologies, Inc. Most of Dr. Lazarev’s scientific career has been dedicated to development of methods and applications for biochemical analysis. Dr. Lazarev has been elected as an Executive Board member of the MASSEP.org, a non-profit scientific discussion forum dedicated to the promotion and improvement of chromatography and other analytical technologies. Dr. Lazarev earned his undergraduate and graduate degrees at the University of Kazan, Russian Federation. Richard Thomley was the Company’s Acting CFO from September 2013 through November 6, 2015 and was an independent financial consultant to the Company from March 2013 through September 2013. Prior to March 2013, Mr. Thomley was the Director of Finance of Kiva Systems, Inc. from June 2007 until January 2012. Mr. Thomley was the Chief Accounting Officer at Spire Corp. from January to June 2007. Mr. Thomley served as the Corporate Controller for Implant Sciences, Inc. from November 2004 until January 2007. Mr. Thomley was Chief Financial Officer at SynQor, Inc. from July 2000 to November 2004. Mr. Thomley has also held senior management positions in finance at Genesis Technical and Financial, Catamount Manufacturing, Inc., ChemDesign Corp., and Ansul Fire Protection Co. He has over 30 years of experience in U.S. GAAP accounting, internal management, financial reporting and analysis, and SEC reporting. Mr. Thomley is a Certified Public Accountant.